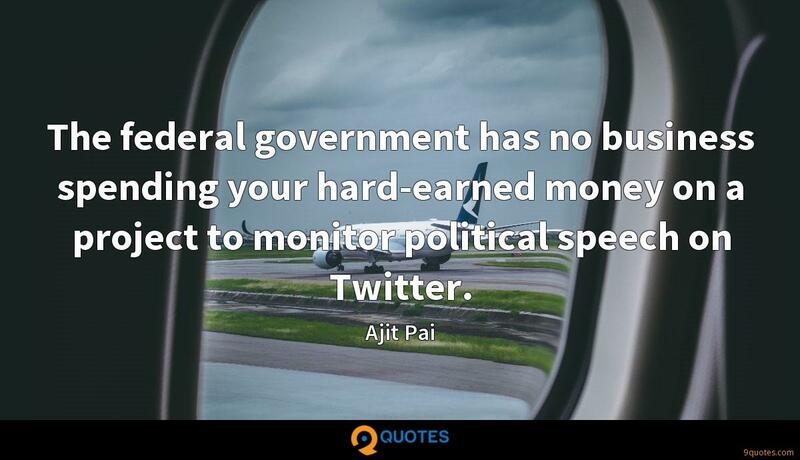 The federal government has no business spending your hard-earned money on a project to monitor political speech on Twitter. 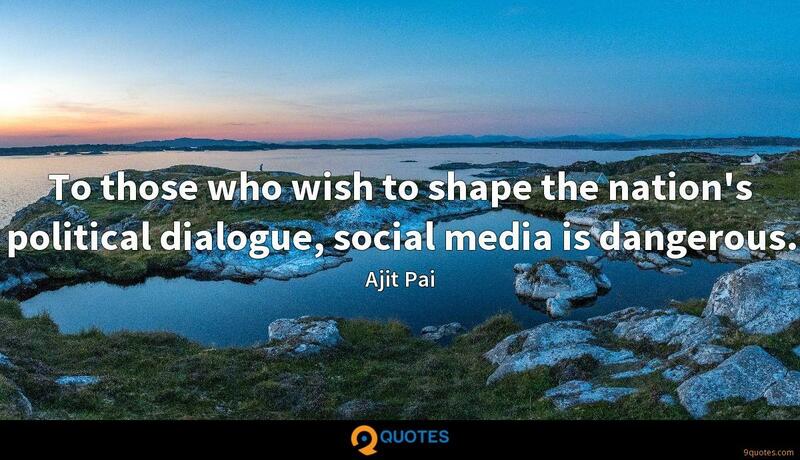 To those who wish to shape the nation's political dialogue, social media is dangerous. In the United States, the government has no business entering the marketplace of ideas to establish an arbiter of what is false, misleading, or a political smear. 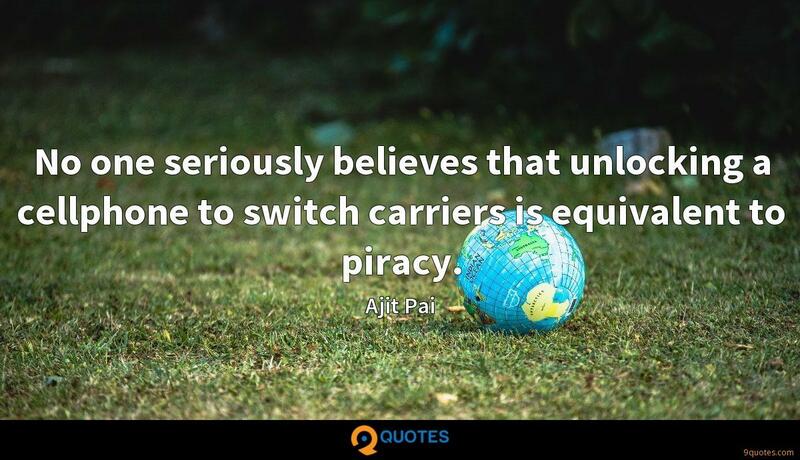 No one seriously believes that unlocking a cellphone to switch carriers is equivalent to piracy. The free market for mobile devices and wireless service has been a dramatic success. 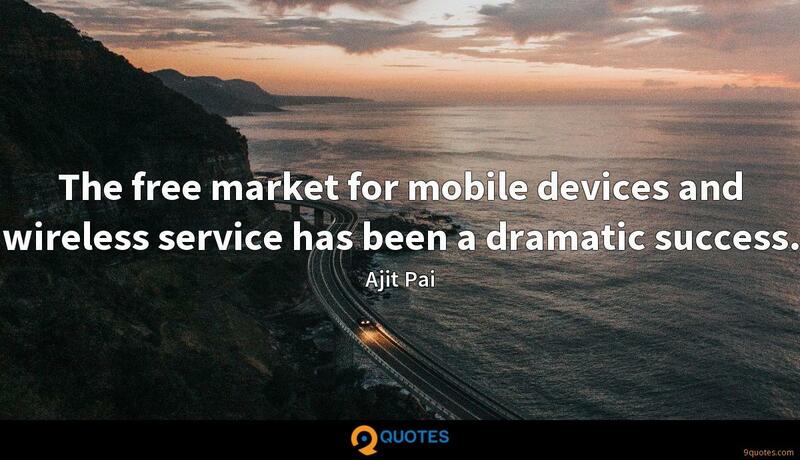 Let the free market for wireless services and devices flourish. If the government gets out of the way, the wireless marketplace will continue to be an American success story. 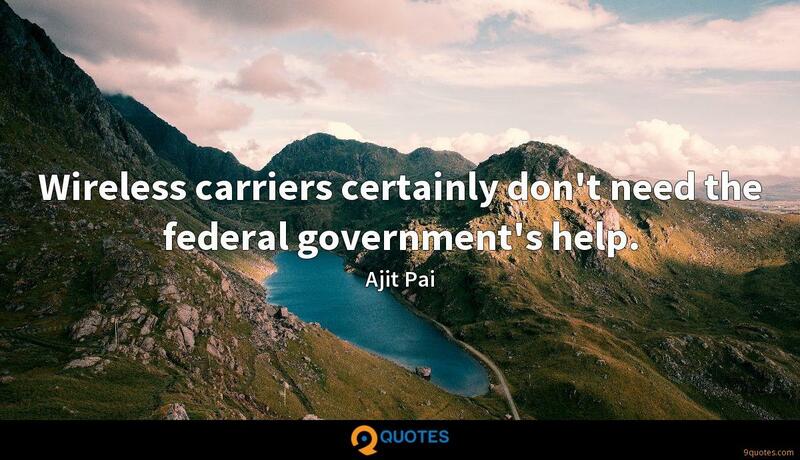 Wireless carriers certainly don't need the federal government's help. For newspapers to continue to play an important role in civic engagement, they need more access to capital. Their decline has created a real threat to independent reporting at the state and local level. We need to create a level regulatory playing field. It makes no sense for Internet giants like Google, Facebook, and Twitter to be allowed to buy newspapers while a small AM radio station is prohibited from purchasing its local paper. 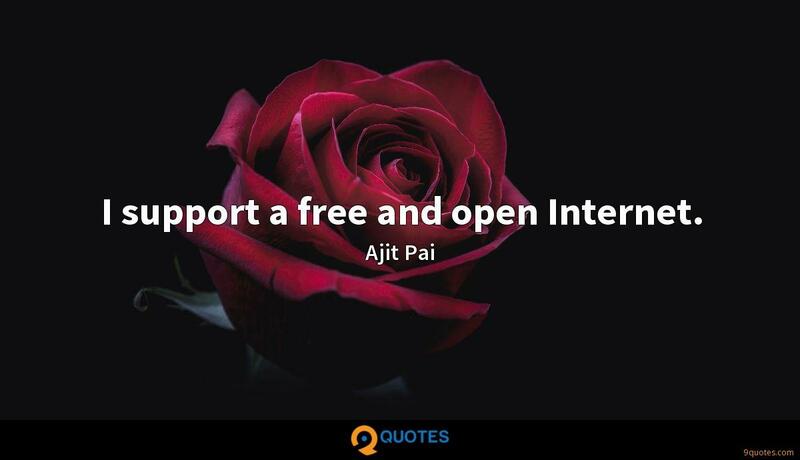 I support a free and open Internet. The Internet should be an open platform where you are free to go where you want and say and do what you want without having to ask anyone's permission. In the Restoring Internet Freedom Order, the FCC strengthened its transparency rule so that Internet service providers must make public more information about their network management practices. They are required to make this information available either on their own website or on the FCC's website. 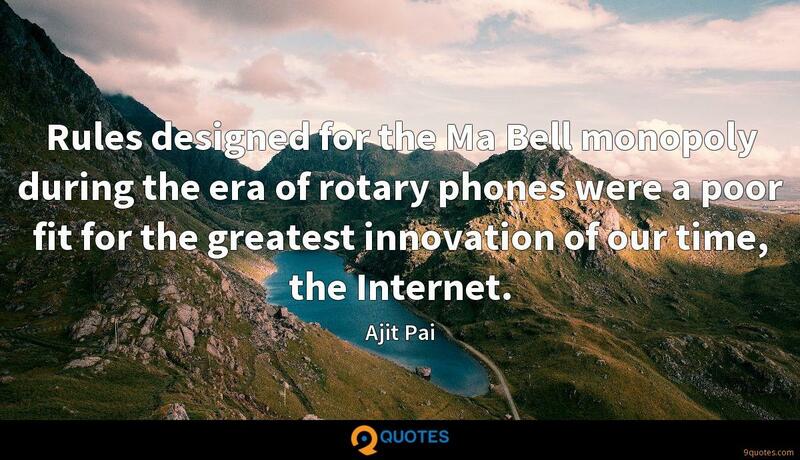 Rules designed for the Ma Bell monopoly during the era of rotary phones were a poor fit for the greatest innovation of our time, the Internet. In the Telecommunications Act of 1996, the government called for an Internet 'unfettered by Federal or State regulation.' The result of that fateful decision was the greatest free-market success story in history. Without having to ask anyone's permission, innovators everywhere used the Internet's open platform to start companies that have transformed how billions of people live and work. 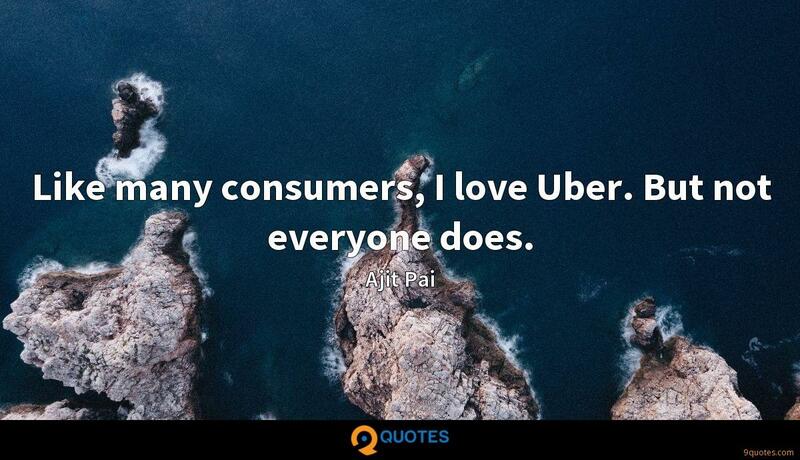 Like many consumers, I love Uber. But not everyone does. 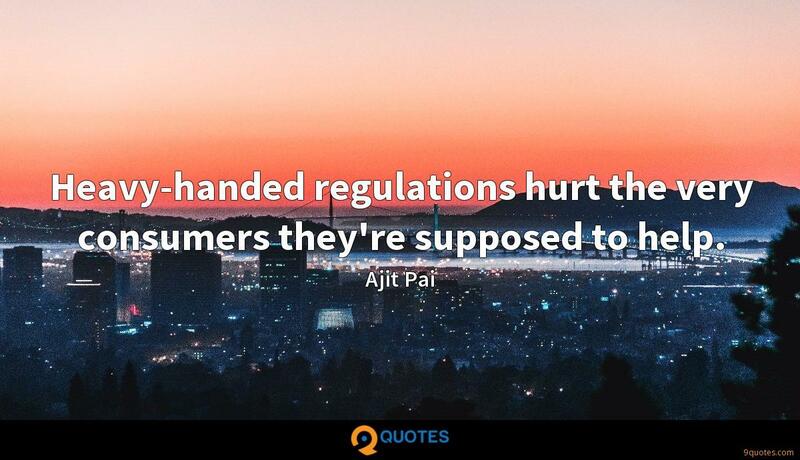 Heavy-handed regulations hurt the very consumers they're supposed to help. Consumers fare best when the barriers to business entry are low, which helps ensure that the market - any market - becomes competitive and stays that way. 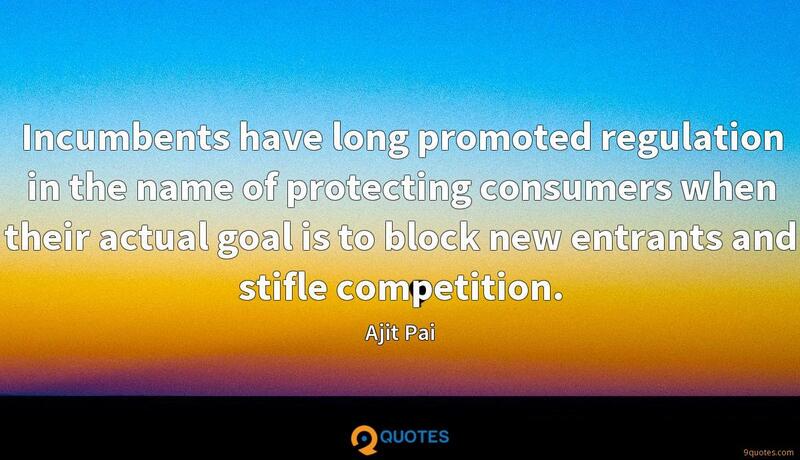 Incumbents have long promoted regulation in the name of protecting consumers when their actual goal is to block new entrants and stifle competition. Throughout the history of communications, we've seen that the country that sets the pace in rolling out each new generation of wireless technology gains an economic edge. Imagine a world where everything that can be connected will be connected - where driverless cars talk to smart transportation networks and where wireless sensors can monitor your health and transmit data to your doctor. That's a snapshot of what the 5G world will look like. As chairman of the Federal Communications Commission, I've logged more than 5,000 miles driving across the country to see first-hand how digital technologies are unleashing opportunity in U.S. communities and to understand the connectivity challenges many Americans face. 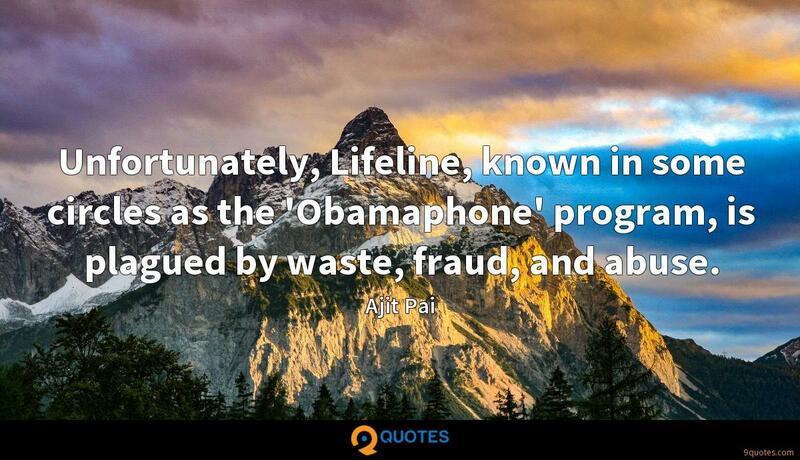 Unfortunately, Lifeline, known in some circles as the 'Obamaphone' program, is plagued by waste, fraud, and abuse. As a native of Parsons, Kansas, a small town near the Oklahoma border, I have a deep respect for tribal nations in Oklahoma. But this federal spending in Oklahoma is outrageous. And excessive subsidies have made the state a playground for Lifeline fraud. Everyone believes that artificial or prerecorded calls - 'robocalls,' as they're known - are awful. They're intrusive. They're unwanted. There is no reason why any legitimate caller should be spoofing an unassigned or invalid number. And providers shouldn't be sued for doing the right thing by blocking illegitimate spoofing. Some claim that the Obama FCC's regulations are necessary to protect Internet openness. History proves this assertion false. We had a free and open Internet prior to 2015, and we will have a free and open Internet once these regulations are repealed. Consumers have the right to know important information about the service they are choosing to purchase and/or use. Beginning in the Clinton administration, there was, for nearly two decades, a broad bipartisan consensus that the best Internet policy was light-touch regulation - rules that promoted competition and kept the Internet 'unfettered by federal or state regulation.' Under this policy, a free and open Internet flourished. I'll never forget the first time I heard Johann Sebastian Bach's 'Partita in E Major' for violin. It was in a late-1980s television commercial, of all things. As a young violinist at the time, it enchanted me - it was so pure, precise, and unadorned.